Returning serves can be tough. It’s something all table tennis players can struggle with at some point or another. Even professional players will have certain opponents whose serves they find difficult to deal with. There’s three parts to returning serves well. First, you have to read the spin of the serve. Second, you have to play a correct stroke based upon the spin on the ball. Third, you have to do something decent with your return to put your opponent under pressure. All of this decision-making and execution has to happen very quickly – in the time it takes for the serve to reach you (about a second). This is why it’s tough. 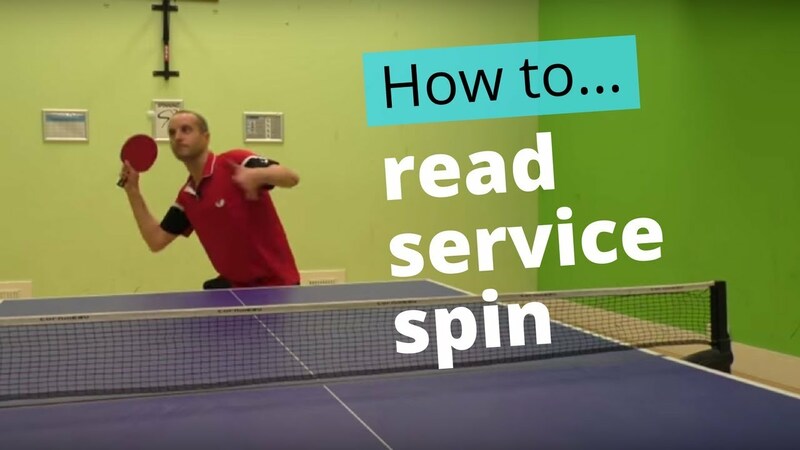 In my latest coaching video, I look at the first part – how to read service spin. If you can read the spin, then it makes other parts of returning serves easier. If you can’t read the spin, then you’re going to struggle. What can table tennis players learn from Roger Federer? Solid points. If you combine the contact point advice with the ball’s movement you really should’t have any problems reading spin. One type of serve that is harder to read is if you vary the speed of the racket at contact. It can look like backspin for example but have little spin in reality. I guess this is a skill like any other and you will get better with practice. Really liked the test at the end. All players should incorporate that type of exercise in their routine. Thanks Chris. And good point about racket speed. For example a fast, long backspin serve can often catch people out, as people don’t expect that long, fast serves to be backspin. But if you read the contact point, then you’ll see that it is backspin. I’ll definitely be creating more videos in the future about how to return different types of serve. first of all thank you very much for your lessons ! You are great ! Just I little comment : you made this lesson about how to read the spin, now I think you should put on line a lesson about how the return for each kind of spin. Pheraps you already put on some lesson on a particular kind of return serve , but I think a lesson that , at once, talk about all kind of return serve is needed. Don’t worry, I have some videos planned which will look at how to return serves. I’ll be Publishing some over the next few months.